Our holiday break has ended. It was one for the books. We took a family trip to Disney World with the kids’ Nana and PawPaw, watched so many Christmas movies by the twinkling lights of the tree, took D to see The Grinch (his first movie in theaters), and in general, tried to cram as much holiday fun into the month as possible. It’s the second week back at school for my little guy (preschool) and the hubby (professor). Things are off to a great start. D loves his teachers and was so excited to see his school friends again…and slide down the playground slide as many times as humanly possible each day. I recently read the Magic Art of Tidying Up and am in full-on purge, declutter and organize mode. I’ve been trying to take on one organization project a day, be it a single drawer or the whole pantry. As long as we’re moving forward and making progress, I’m happy and calling it a win. Everything is back in motion and the family is trying to settle into this semester’s routine. It’s now just me and baby girl at home during the days again. She’s one and a half now, and at some point, I know that I will need to stop calling her my baby, but I’m going to hold out as long as I can. I am loving the chance to have some sweet one on one time with her again, but I can already tell that it’s going to be challenging to juggle mommy duties, my part-time remote job, Moore Cookin, and keeping the house in order. Going to take things one day at a time, while stepping up my meal planning and home organization game stat. 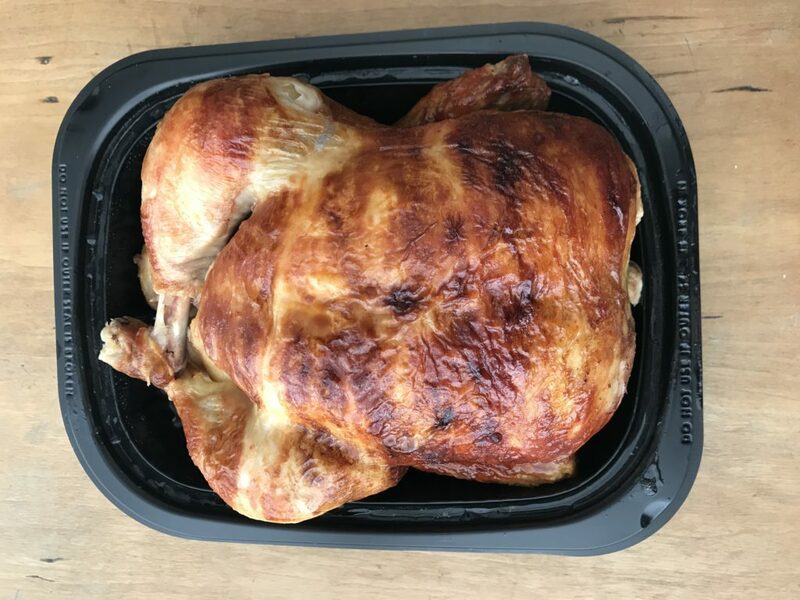 One of my best not-so-secret tricks for simplifying weeknight dinners that I plan to take advantage of is to utilize the Costco rotisserie chicken to the fullest. Really, any grocery store rotisserie chicken will do the job, but Costco’s $5 rotisserie chicken just can’t be beat for the price. With endless possibilities, I’m sure that I’ll be coming back to update this list, so be sure to check back! And let me know in the comments what your favorite recipes using rotisserie chicken are.